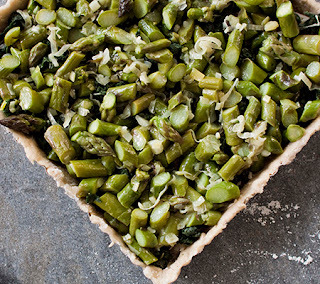 Asparagus, how many ways can I adore you? 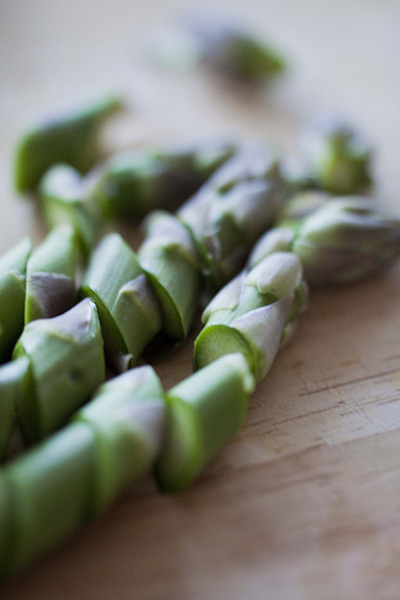 I'm not sure about you, but for me asparagus is so emblematic of Spring, my favorite season. This elegant vegetable is the main event here, and Riverdog's green garlic is a worthy complimentary flavor. 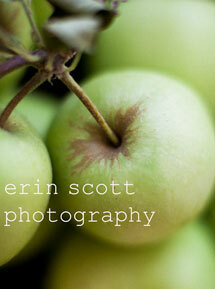 I continue to be inspired by our Riverdog Farm CSA Box. 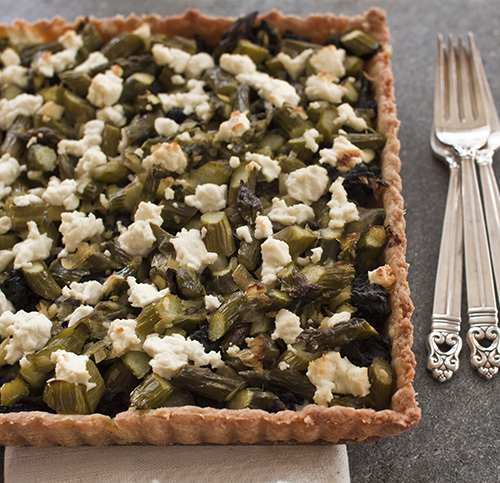 Every week it is a treat to see what they are giving us and a savory tart is a great vehicle for endless vegetable combinations. Paul is always willing to wander the woods for nettles, so we added nettles to the mix. 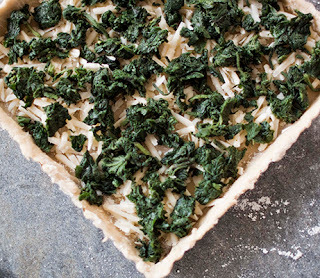 If you aren't a nettle hunter, spinach would also work well in this tart. Follow directions for flaky tart dough. 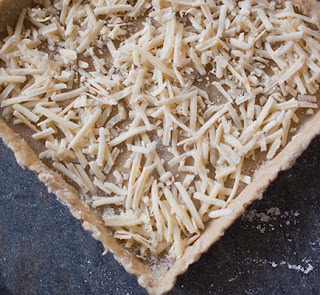 Roll out dough and fit into lightly buttered tart pan. Refrigerate until fillings are ready. Saute greens with a little olive oil. Set aside to cool. Squeeze to release any excess liquid. Chop. Heat one tablespoon olive oil and one tablespoon butter in a large saute pan over medium heat. Add sliced green garlic. Saute for 2 minutes. Add asparagus slices and salt. Saute for a minute then add a splash of water, cover, stew for 8 minutes or so. Remove lid and cook another 2-3 minutes until liquid is reduced and vegetables are glistening with butter and oil. 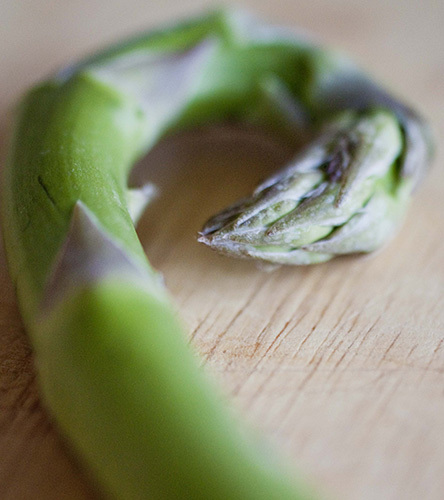 Asparagus should be just cooked and not at all mushy. Set aside. 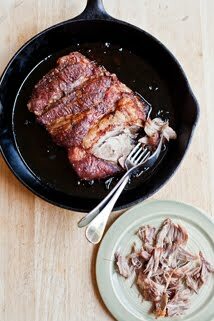 Bake on the lower rack of your oven for 30-40 minute until the crust is golden brown. I love vegetable tarts. 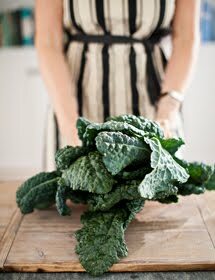 I had nettles at Chez Panisse and loved them, then tried cooking them at home and hated them. I really want to give them another chance and this looks like a good way to re-attempt them. Plus, I love your square tart pan. 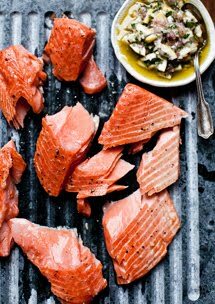 great way to bring out asparagus flavor....I like the idea of adding some healthy greens to it... plus this dish seems to be so versatile, it can be made with all kinds of seasonal veggies. I will have to try this gluten free version of pastry dough, how does it compere to regular one? 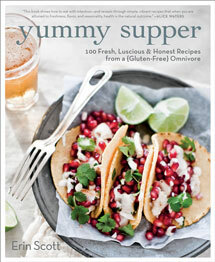 Wow, this looks amazing! 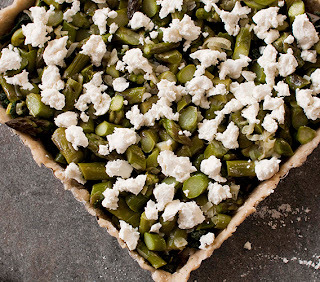 I love asparagus and goat cheese so I'll have to try this. Arugulove, give the nettles another try. They really are worth it. M, I eat gluten-free for medical reasons but I have to say that making crust with that mix by Pamela is pretty amazing. The addition of almond flour is delish. Otherwise the crust isn't so different from one with gluten. Honestly, any nice flaky dough recipe would be great here. I have some gluten intolerant friends, so thank you for the info. M, you are a good friend! When my friends make something for me that is gf and delicious I am totally grateful. I think if you make this crust for your gluten intolerant friends, they will be so happy. 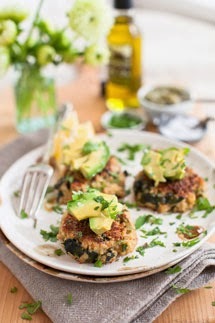 I am still on a mission to find nettles locally so that I can make a dish just like this! Asparagus is certainly a sign that spring has sprung... we eat it daily until the season is over and the next best thing comes around. It's what I love best about seasonal eating. I am totally with you Lo... eat asparagus until you can eat no more. By then, some other wonderful fruit or veg will be ready to eat. Maybe cherries next month? 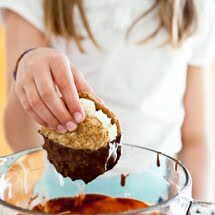 I came across your blog from dash & bella and just love your recipes. I've added you to my blog reader - thanks for sharing!